Travelling Wave Optical Parametric Generators (TWOPG) are an excellent choice for researchers who need an ultra‑fast tunable coherent light source from UV to mid IR. 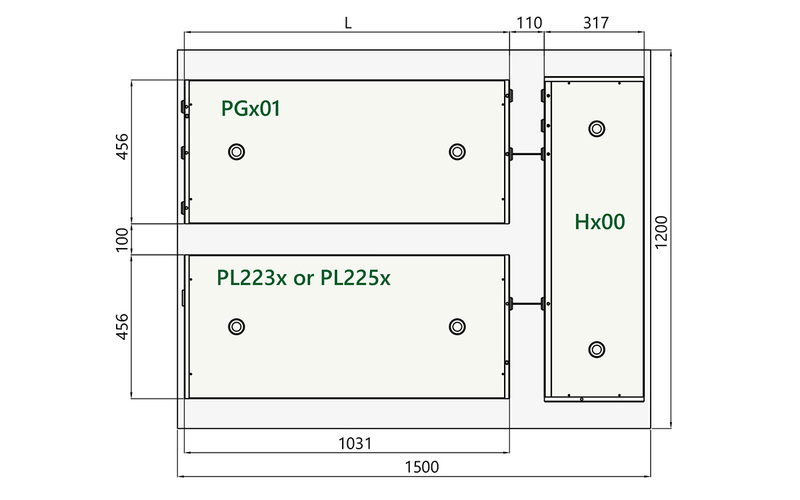 The purpose of the OPG module is to generate parametric superfluores-cence (PS). Spectral properties of the PS are determined by the properties of a nonlinear crystal and usually vary with the generated wavelength. 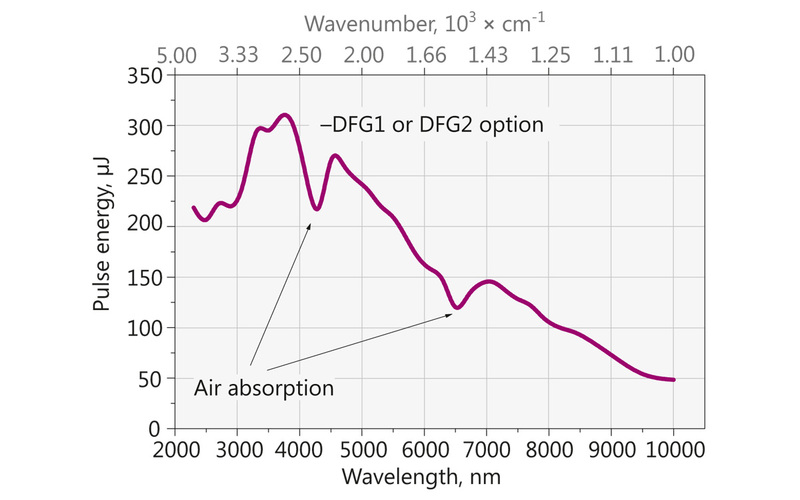 In order to produce narrowband radiation, the output from OPG is narrowed by LNS down to 6 cm⁻¹ and then used to seed OPA. Output wavelength tuning is achieved by changing the angle of the nonlinear crystal(s) and grating. To ensure exceptional wavelength reproducibility, computerized control unit driven precise stepper motors rotate the nonlinear crystals and diffraction grating. Nonlinear crystal temperature stabilization ensures long‑term stability of the output radiation wavelength. In order to protect nonlinear crystals from damage, the pump pulse energy is monitored by built-in photodetectors, and the control unit produces an alert signal when pump pulse energy exceeds the preset value. For customer convenience the system can be controlled through its USB type PC interface (RS232 is optional) with LabView™ drivers or remote control pad. Both options allow easy control of system settings. 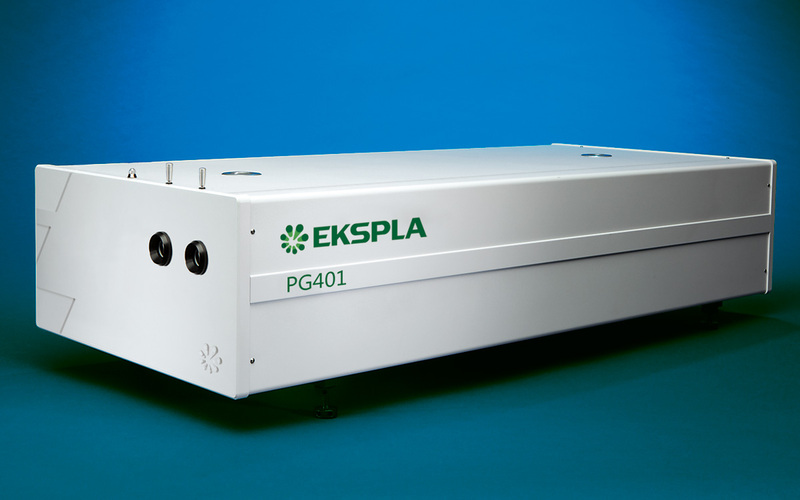 Ekspla offers four models designed for pumping by up to the 4th harmonic of Nd:YAG laser. 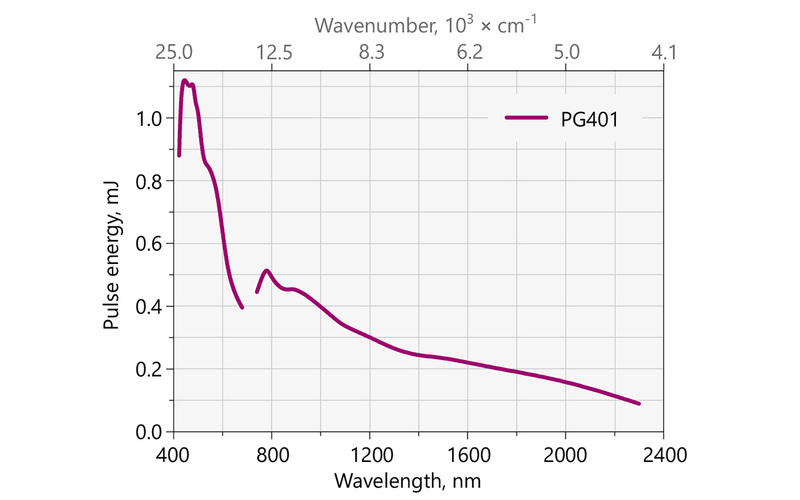 PG401 Model has a tuning range from 420 to 2300 nm and is optimized for providing highest pulse energy in the visible part of the spectrum. 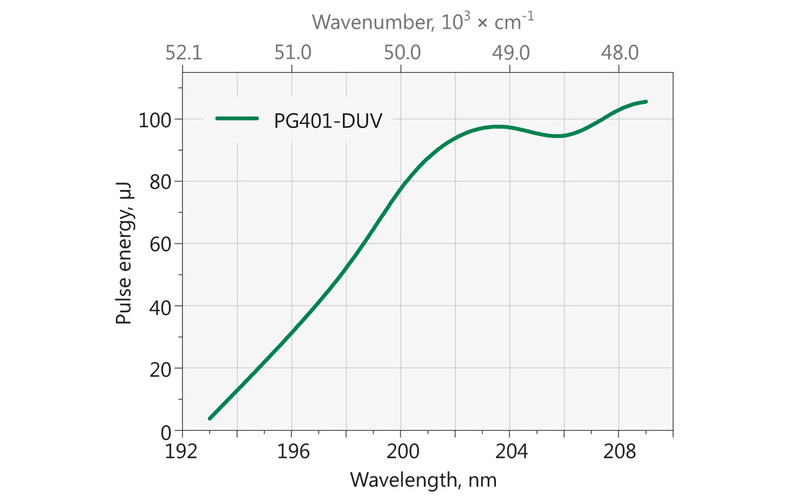 The wide tuning range makes PG401 units suitable for many spectroscopy application. 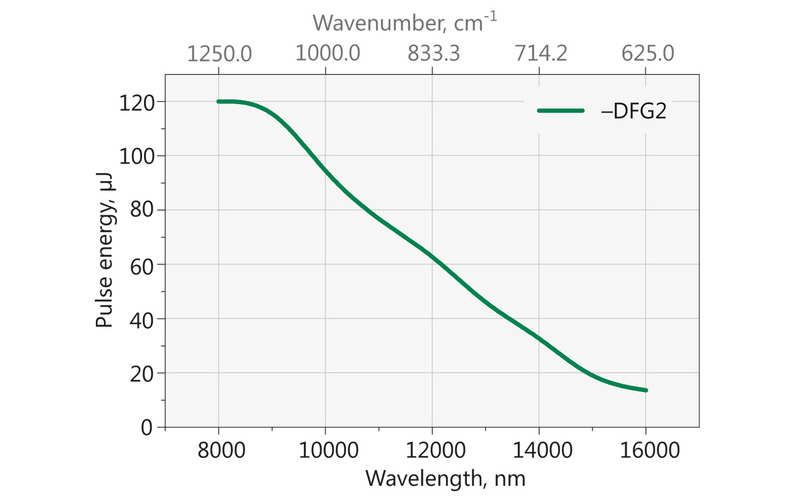 PG501-DFG Model has a tuning range from 2300 to 16000 nm. 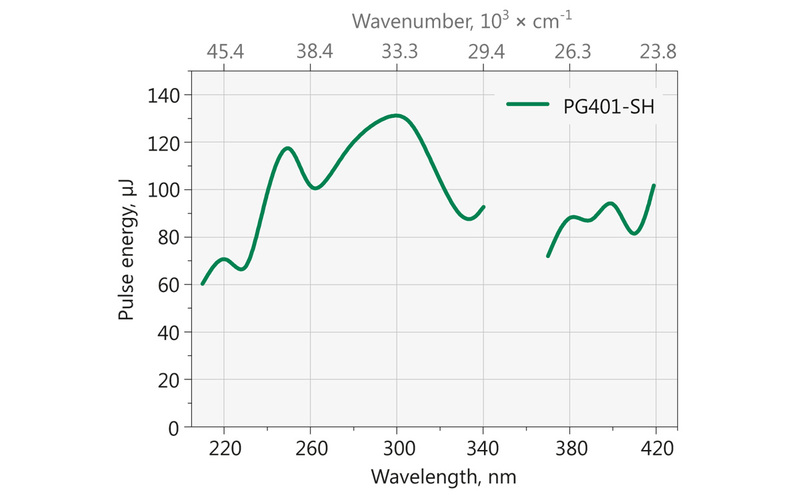 The PG501-DFG1 model is the optimal choice for vibrational-SFG spectroscopy setups. Due to continuous improvement, all specifications are subject to change without notice. Parameters marked typical are not specifications. They are indications of typical performance and will vary with each unit we manufacture. 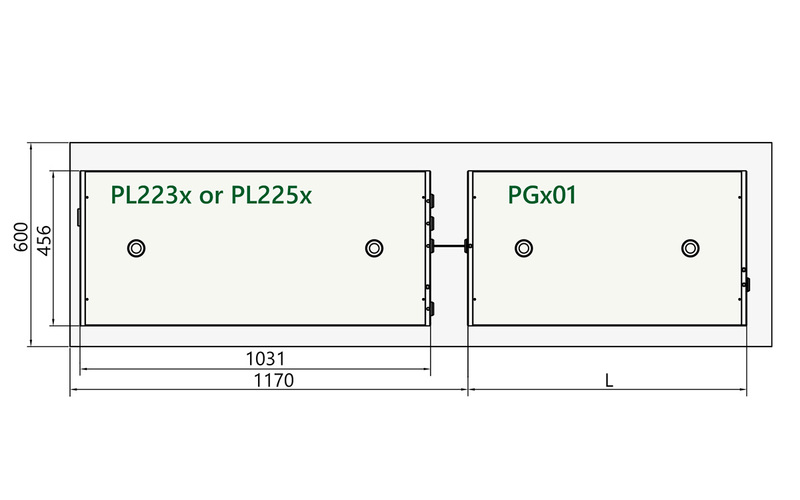 Unless stated otherwise, all specifications are measured at 450 nm for PG401 units, 3000 nm for PG501 units and 300 nm for PG401SH units and for basic system without options. See tuning curves for typical pulse energies at other wavelengths. Higher energies are available, please contact Ekspla for more details. Beam diameter is measured at the 1/e² level. Full angle measured at the FWHM point. If a pump laser other than PL2250 or PL2230 is used, measured beam profile data should be presented when ordering. Should be specified if non-EKSPLA pump laser is used. Note: Laser must be connected to the mains electricity all the time. If there will be no mains electricity for longer that 1 hour then laser (system) needs warm up for a few hours before switching on. Please note that these products are custom solutions tailored for specific applications or specific requirements. Note: The energy tuning curves are affected by air absorption due narrow linewidth. These pictures present pulse energies where air absorption is negligible.